Nicolas won the £2,500 prize money last year for his inventive idea for a new platform technology called DaPHNI for developing point-of-care medical diagnostic devices. The DaPHNI platform has the potential to have a large, multifaceted positive impact on global health both in developed countries, at healthcare centres, or as home diagnostic kits, as well as in developing countries. In the past few decades, innovations in biotechnology have brought to the market small portable and affordable medical diagnostic devices that people can use to monitor their health, the so-called biosensors. 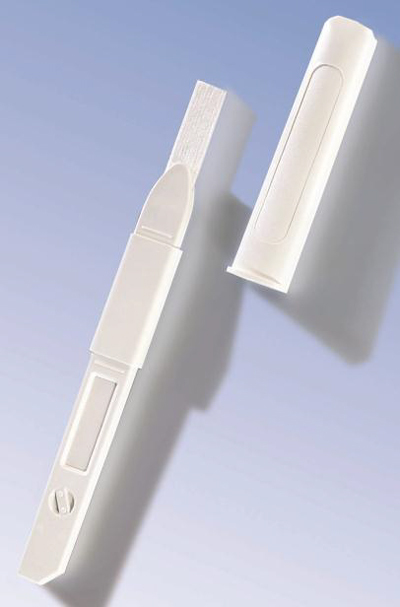 Some examples of biosensor devices such as the pregnancy test strip and the blood glucose meter are widely known and used by the public. Biosensor devices work by detecting a biomarker molecule in a patient’s sample (blood, urine etc.) that corresponds to a medical condition and reports the results to the user of the device. For example, the blood glucose meter measures the concentration of glucose – the biomarker – in a diabetic patient’s blood to help him plan meals and medication. This technology allows for diagnostic testing to take place at the comfort of patient’s home and resulted in the dramatic rise in the standard of care for diabetic patients. Healthcare reforms being pursued by many western countries focus on providing better and more convenient access to healthcare for all patients. This, in combination with an increased interest on a more patient-centric healthcare system creates the incentives for the development of more biosensor tests to diagnose even more medical conditions. However, for the medical conditions where the diagnostic need is the greatest – an example being cancer prognosis or after-treatment monitoring – current biosensor technology is inadequate. This is because such medical conditions have complex diagnostic profiles of many biomarker signatures that current biosensor technology proves inadequate. As a result, diagnosis can only take place in hospitals and research centers with sophisticated equipment and associated with large costs and thus not available to many. 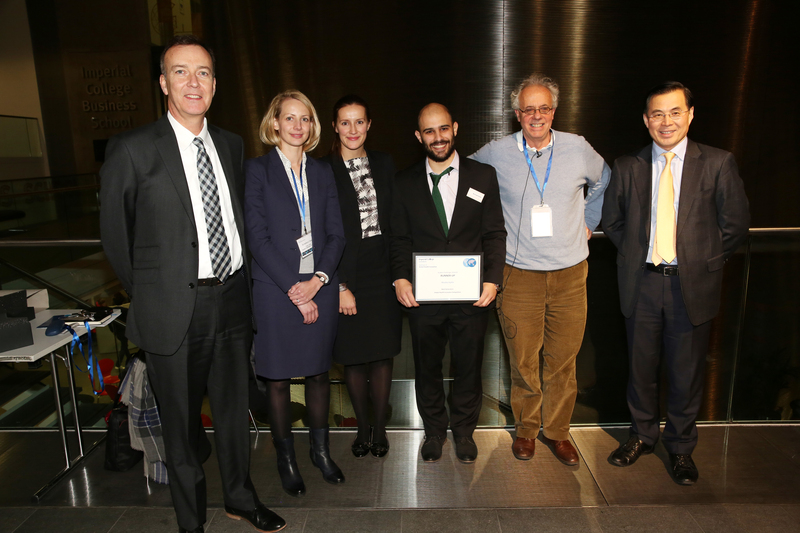 At the time of the 2014 Student Challenges Competition I was a PhD student in the research lab of Prof. Paul Freemont, an expert in the field of Synthetic Biology. Synthetic Biology is a field which strives to create tools and processes that streamline biological engineering to create an industry that will provide new solutions to societal needs. During my PhD with Prof. Freemont and our collaborator Dr. Karen Polizzi who’s an expert on biosensor design, I was investigating the application of synthetic biology principles to biosensor design. When we found out about the Student Challenges Competition organized by the Institute of Global Health Innovation we thought that this would be an excellent opportunity for us to showcase our work to clinicians, biotech investment experts and healthcare policy makers and seek their valuable critical feedback. At the Student Challenges Competition, I presented an idea that stemmed out from my PhD experience for a new platform technology called DaPHNI to be used by technologists for developing point-of-care medical diagnostic devices. At the heart of this technology a novel biosensor design was proposed that aimed to allow for multiple signal integration and processing for detecting many disease markers in patients’ samples. This innovation would allow for the medical diagnosis of diseases with complex diagnostic profiles at the point-of-care. Importantly, the platform technology would have a much lower production cost than any other biosensor technology available currently in the market. 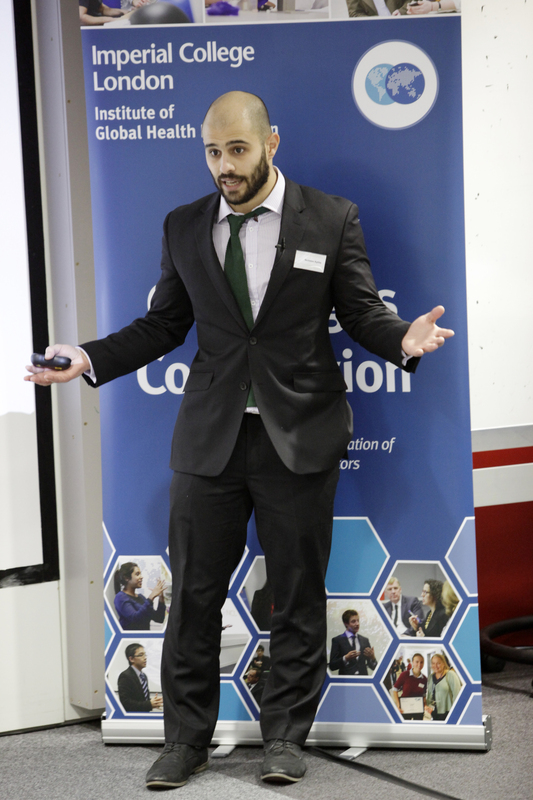 On the day of the competition, I remember myself being very excited as it was the first time presenting my work to professionals not directly related to basic life sciences research and I was eager to hear their opinion about the potential for positive societal impact of my work . The judges seemed to like my proposition and I managed to leave with one of the Competition prizes and lots of invaluable feedback. Especially encouraging were also the enthusiastic comments that I received from some members of the audience during personal conversations I had after the end of the presentation. The prize money allowed me to carry out some proof of concept experiments for my biosensor design. I chose to build a biosensor device to detect the Thrombin protein biomarker. Thrombin is a blood protease with direct role in physiological and pathological blood coagulation. After a lot of effort put in trial and error experiments and negative results I managed to build a working prototype biosensor device. With this prototype device, I was able to show that the detection of thrombin using this novel biosensor device is sensitive and specific. Importantly, through the process of building the prototype biosensor device I was able to realise more about the potential of this technology. With the positive result at hand I approached a technology accelerator center to discuss whether they thought this was an interesting technology. The accelerator team and I both agreed that this technology showed potential and they decided to invest in a six-month project for its further development. As a result, a fellow researcher and I will be undertaking more research and development on the biosensor design starting this fall. I hope that through hard work this project will result in an innovation that could positively impact global health needs. I would like to see this technology becoming a valuable tool for improved health care especially to those that are underprivileged and underserved. I am very grateful for the opportunity provided to me by the IGHI and I hope future participants will be able to benefit to the same extent from this competition.